We’re over half way through the world’s biggest wine show, Vinexpo 2015, and the pace seemed to have been taken up a notch today…or perhaps this was a reflection of a day started with Champagne. Sadly, there were fewer red pants on display today, with a more conservative navy blue taking over, along with a sensible and comfy footwear selection. 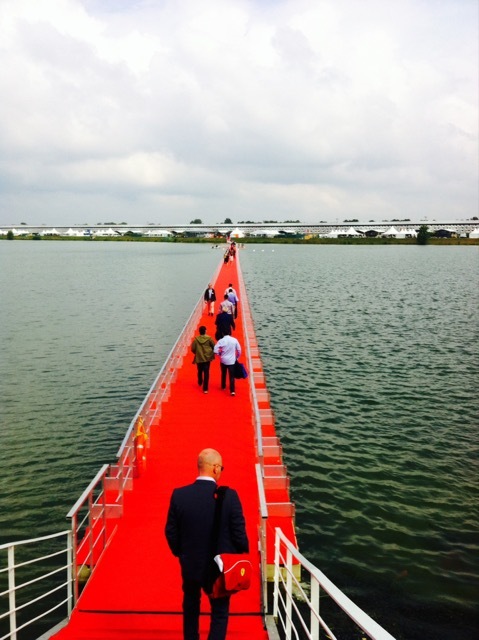 I finally succumbed to the temptation, taking the red carpet across the lake to arrive at Vinexpo in style. Those who overindulged last night may not have enjoyed the experience however, as the gentle breeze had a swaying effect on the long pontoon- sea legs at the ready. 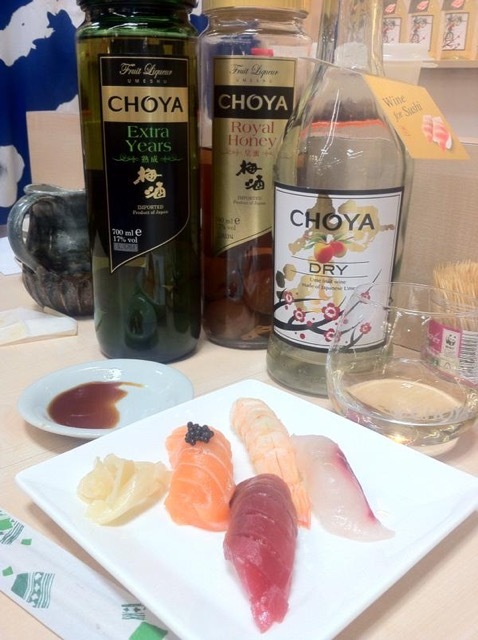 Best feed: Without doubt, the team over at Choya with their in-house sushi chef who prepares a plate of delights on the spot to accompany the Ume Fruit Wine. Ume is similar in taste to an apricot, with the wine developed especially to match to sushi. Delightful. 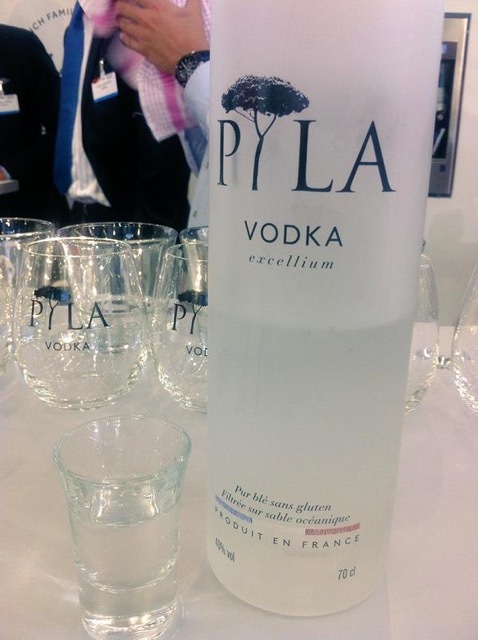 Trend setters: Pyla Vodka, the local drop, have caught on to the outrageously big gluten free market and are declaring their vodka to be officially sans gluten. Vodka that will make you skinny? 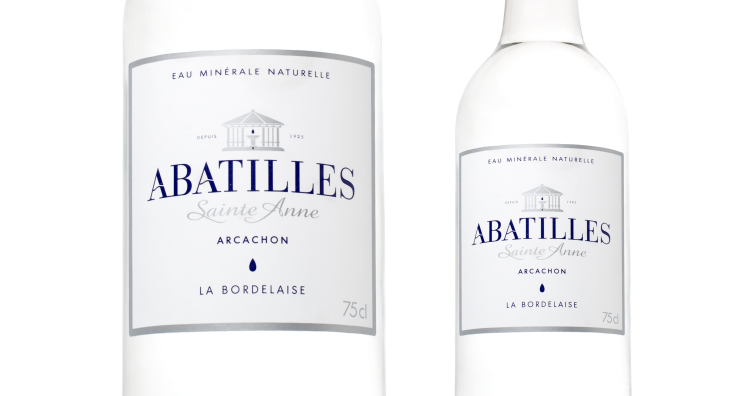 It’s water – but not as you know it! Prettiest stand: This is a tough one, as there are plenty of grand examples (many of which however are designed to discourage you from entering). 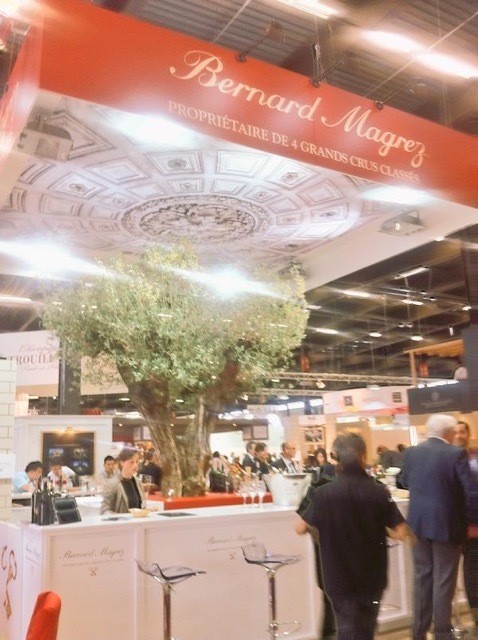 But, the grand olive tree centrepiece of Bernard Magrez did it for me. He’s known for buying 800 year old versions, and tells me that it’s their symbol of strength that appeals to him. A little bit of nature in a sea of constructs is certainly refreshing. Note to self – a tree will always make your exhibit stand out from your competitors. 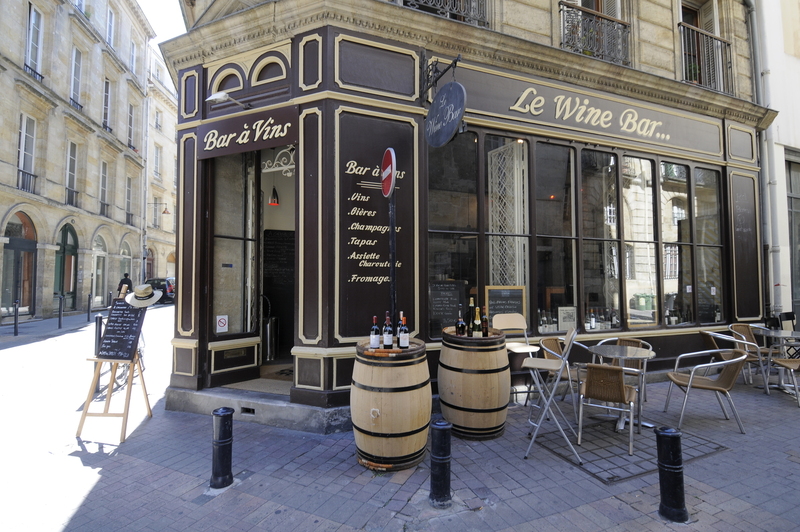 The day finished with a well earned sit at one of my favourite wine bars in Bordeaux…..called Wine Bar. A crew of Piedmonte producers had also settled in here after a day of meet and greets, and were happy to share their wares. Like their impressive facial hair, the Fabio Gea 2009 Barbaresco was also remarkable- vinified (and trademarked) in porcelain! Roll on Vinexpo, you strange, fascinating beast. Reblogged this on xHibit Magazine. In regards to food do you get plenty in supplied by exhibitors or in the conference activities? There doesn’t seem to be that many food outlets at the venue. I live in Bordeaux, but have been having lunch at Vinexpo- there are a few decently priced ones if you look around. Many of the bigger stands have chefs inside to cater for client meetings as well! The floating red carpet looks like it would be really fun to walk across. There are some things I don’t like no matter how hard I try — beer is one, sushi is another. Le Wine Bar looks like a delightful place. I’m looking forward to your next installment. Horses for courses, right Timothy?! It’s oysters for me, I just can’t come around to them. Le Wine Bar is definitely one of my top spots in Bordeaux, wonderful fresh Italian-style antipasti and a wine list to impress.You should plan a visit! I’m not a big fan of oysters either. When we make it back to France. We will have to visit Bordeaux for sure!